This perspective seems to be going around and so I'll deal with it. Israel's security, it is claimed, is in a peace agreement. Borders are secondary. The claim that "the 1967 borders are indefensible" sounds so correct and is so deeply ensconced in media discourse that no one tries to examine this mantra and confront it with reality...It is therefore appropriate to ask: If the 1967 borders are indefensible, which borders can be defended? Can any physical border today defend a country if a strong enemy is determined to attack it? 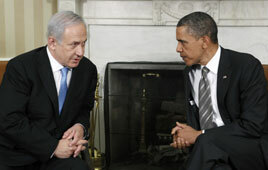 ...Can defensible borders protect Israel from an Iranian threat? If there were people who hoped that the borders of the Greater Land of Israel, fences or walls would stop terrorist attacks, the first and second intifadas proved that no obstacle can stand in the way of determined terrorists - certainly not in the way of suicide bombers. The suicide bombers who blew themselves up in buses and cafes did not cross borders. They came from territory under Israeli control. ...What was applicable to conflicts and wars between countries 60 or 100 years ago is no longer applicable today. It is not defensible borders but rather agreements and cooperation with the Palestinian state that will bring us security. This will also bring us the support of world public opinion and a return to the family of civilized nations. A. If borders are redrawn that invite future hostility, no peace agreement will hold. So the first obligation is to assure, for example, that the hill country overlooking Israel's belly from Hadera to Gedera is not threatened by missiles and that Ben Gurion Airport is not open to shoulder-held rockets. B. If the future proposed Palestinian state is not demilitarized, based on past experience in broken promises and violated agreements, better borders are needed, not only "peace". C. The suicide bombers of the post-2000 period, even though we suffered a few cases previously, developed because territory was surrendered and the geographical advantage fell to the Pals. after the creation of A & B areas which made it more difficult for the IDF and the GSS to work. In the June, 1967 Six Day War, Rabbi Yisrael Ariel was a young soldier in the paratrooper brigade, led by Gen. Motta Gur, which liberated Jerusalem's Old City. He was one of the first soldiers to reach the Temple Mount. The very first night that the Temple Mount returned to Israeli sovereignty, Rabbi Ariel was assigned the duty of guarding over the Dome of the Rock, site of the Holy of Holies in the Holy Temple. 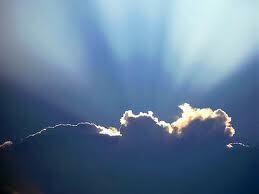 Looking back at that time, he relates to the uniqueness of the moment, both universally for all Jews and for himself personally: the return of the Jewish people to this spot, the one place on earth that G-d has chosen for Himself, to begin the resumption of the Divine service. Indeed, this moment was a harbinger for the birth of the Temple Institute. Reuters reported on Friday that Canadian prime minister Stephen Harper prevented the G8 from calling for Israel’s retreat to the 1967 borders in a communiqué. The group of eight leading industrialized countries was meeting in Deauville, France. Negotiations are the only way toward a comprehensive and lasting resolution to the [Israeli-Palestinian] conflict. The framework for these negotiations is well known. We urge both parties to return to substantive talks with a view to concluding a framework agreement on all final status issues. To that effect, we express our strong support for the vision of Israeli-Palestinian peace outlined by President Obama on May 19, 2011. The G8, then, appears to be implicitly opposing the Palestinian plans for a unilateral declaration of statehood at the UN in September—without explicitly demanding that Israel commit territorial suicide. Israel’s Haaretz further reported on Sunday that Israeli prime minister Binyamin Netanyahu himself had called Harper last week to request that he keep the 1967 borders out of the G8’s statement—and that Netanyahu had done so after his speech to Congress on Tuesday. As if there weren’t enough trouble in the world, it’s “Freedom Flotilla” season again in the Middle East. Self-declared “freedom activists” are again maneuvering to score big propaganda points by trying to break the Israeli naval blockade meant to stop the flow of weapons into Gaza — the Palestinian enclave ruled by the Iranian-backed terrorist group, Hamas. In Turkey, such activists are marking the first anniversary of the May 31, 2010 confrontation aboard the Turkish flagship of last year’s flotilla, the Mavi Marmara, in which some of the erstwhile peaceniks aboard the vessel turned out to be thugs wielding clubs and knives. They attacked the Israelis trying to enforce the blockade; nine “peace” activists died and seven Israeli commandos were wounded. Plans are now taking shape for another flotilla to sail for Gaza, sometime in June. A major organizer of last year’s flotilla, the terror-linked Turkish nonprofit known as IHH, is seeking preliminary applications for people who want to join this year’s excursion to bait and besmirch Israel and support Iranian-backed Hamas. The IHH site lists some who have already signed up, including a number of Americans described as planning to sail aboard a U.S.-flagged ship called the Audacity of Hope. Whatever the lofty intentions under which some of the dupes among this crowd might sail, the effect is to support the terrorist rulers of Gaza — who have recently, once again, ratcheted up their rocket and mortar bombardments of Israel, and, as clients of Iran, may be planning worse. 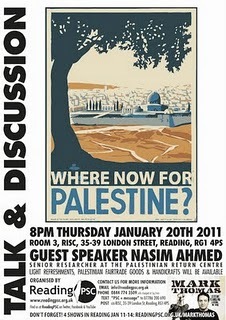 Which is the reason for the Israeli blockade in the first place. Recall that in 2005, hoping for peaceful coexistence, Israel unilaterally withdrew from Gaza, forcibly evicting even those Israelis who refused to leave their homes there. The Palestinians of Gaza did not respond with peace. They voted into power Hamas, which is dedicated in its charter to the eradication of Israel. They launched thousands of attacks on Israel. Gaza’s real problem is not the Israeli blockade, or a lack of supplies, but its predatory devotion to the aims of terrorizing and destroying the democratic state of Israel. In the name of humanitarian aid, United Nations agencies and assorted charities have been pouring resources into Gaza for years (much of that provided by American and European taxpayers). Attempts to shred the Israeli blockade do not add up to humanitarian help; they add up to support for terror-loving Hamas. If anyone involved in the launching of this “Freedom Flotilla II” really wants to do some good in this world, there is another piece of turf along the eastern Mediterranean coast they could aim for. It’s a place where a blockade of sorts has been imposed not by Israel, but by the country’s own government — which is now preventing entry by anyone likely to report back on the atrocities within. It’s a country where Iran has been sending in the thugs of its elite Quds force to help crush an uprising of people calling for an end to decades of dynastic totalitarian rule. It’s a place where international peace activists hoping to galvanize world opinion with a high-profile boat trip might usefully attempt a landing and display of solidarity, if only to let the world witness the response. That place is Syria. It is, of course, less attractive to these flotilla types for a number of reasons. One is that Syrian security forces are likely to be a lot less considerate than Israeli commandos. Your average peace activist who might try sailing forthrightly to the rescue of Syria’s beleaguered demonstrators is more likely to get shot in the head than briefly detained and then repatriated, which is what Israel did last year with those of the flotilla passengers who actually remained peaceful. And course a “Freedom Flotilla” aiming to draw world attention to Syria might actually end up striking a blow for freedom — as opposed to scoring a propaganda coup for the terrorists of Hamas by grandstanding on the high seas about Gaza. But don’t hold your breath. Freedom is not what these flotillas are about. Pro-Palestinian groups in the West enthusiastically aid and abet historical revisionism, and what was conceived as the national liberation movement of the Jewish People is routinely presented as an ugly and unacceptable manifestation of European colonialism. As with this poster, Israel's ill-wishers even stoop to appropriating travel posters designed for the Yishuv by refugee from Hitlerism Franz Krausz, as if those posters were the work of Arabs and in order to advance the notion that "Palestine" (incorporating all of Eretz Israel) was, and should again be, an autonomous Arab land. Earlier this year, Bibi Netanyahu gave a trademark impressive speech in Jerusalem to a visiting contingent of European Friends of Israel. As proves so often the case, he manifested his obviously deep and genuine feel for history. "Now people say, well, you don't really have an attachment to this land. We are new interlopers. We are neo-crusaders.... [F]rom the place next to the Temple wall, the Western Wall from around the time of the Jewish kings, they found a signet ring, a seal of a Jewish official from 2700 years ago, and it has a name on it in Hebrew. You know what that name is? Netanyahu. Now, that's my last name. My first name, Benjamin, goes back a thousand years earlier to Benjamin the son of Jacob who with his brothers roamed these very hills. So we have some connection with this land but we recognize that others live in it too. We want to make peace with them but we have this basic millenial connection to this land. Part of the campaign against Israel is the attempt to distort not only modern history, but also ancient history. There was no Jewish Temple - did you hear that one? Well, I'd like to know where were those tables that Jesus overturned? Were they in Tibet? There's an attempt to rewrite history - ancient and modern and to deprive the Jewish people of their connection to their ancestral homeland ..."
Mahmoud Abbas is not averse to distorting history - as witness that despicable doctoral dissertation of his, completed in the Soviet Union in 1982 and published in book form a couple of years later as The Other Side of the Secret Relationship Between Zionism and Nazism. Not only does it allege that Zionists, eager for as many victims of genocide as possible in order to advance their aims, were in cahoots with the Nazis, it suggests that the actual number of Jews who perished in the Shoah was perhaps less than one million. Rubin: Western Media Insanity on the Middle East - The Silver Lining in Gaza! Story 1: Prime Minister Benjamin Netanyahu says that Egypt is losing control of the Sinai Penninsula where there are a lot of terrorists who can go into the Gaza Strip and attack Israel or stage cross-border attacks. Story 2: Arab newspaper reports an estimated 400 al-Qaida terrorists in the Sinai. Story 3: Egypt opens border to Gaza Strip so money, terrorists, and weapons can flow in freely. Bottom line: Western media (in part due to a stupid individual Israeli's personal analysis of situation) says that there's a "silver lining." Egypt, not Israel is now responsible for the Gaza Strip. Silver lining in Iran getting nuclear weapons. 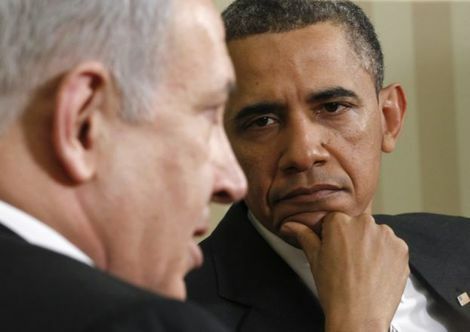 In the aftermath of US President Barack Obama's May 19 speech on the Middle East, his supporters argued that the policy toward Israel and the Palestinians that Obama outlined in that speech was not anti-Israel. As they presented it, Obama's assertion that peace negotiations between Israel and the Palestinians must be based on the 1967 lines with agreed swaps does not mark a substantive departure from the positions adopted by his predecessors in the Oval Office. But this claim is exposed as a lie by previous administration statements. On November 25, 2009, in response to Prime Minister Binyamin Netanyahu's acceptance of Obama's demand for a 10-month moratorium on Jewish property rights in Jerusalem, Judea and Samaria, the State Department issued the following statement: "Today's announcement by the Government of Israel helps move forward toward resolving the Israeli-Palestinian conflict. "We believe that through good-faith negotiations the parties can mutually agree on an outcome which ends the conflict and reconciles the Palestinian goal of an independent and viable state based on the 1967 lines, with agreed swaps, and the Israeli goal of a Jewish state with secure and recognized borders that reflect subsequent developments and meet Israeli security requirements." Jerusalem was always a united city except when the Jordanians occupied the West Bank of the Jordan river, split the city and forbid Jews from entering and worshipiing at their holy sites. Jerusalem was established as the capital of the Jewish nation by King David and has not been a capital for any other people since. Watch this video to learn the facts about the united capital of Jerusalem and share with all. Out of sight of Lifta’s ruins, but built on its former farmlands are the Knesset (Israel’s parliament), the supreme court, the Hadassah hospital, the Hebrew University and the city’s central bus station. As for Hadassah Hospital, is Sherwood referring to Hadassah Mount Scopus in the north of Jerusalem or Hadassah Ein Kerem in the south west of the city? Either way, both are located a considerable distance from Lifta and could not possibly have been part of its farmland prior to 1948. Last week, as I watched Bibi sitting in the White House with President Obama, I raised a cheer when he mentioned Jewish refugees expelled from Arab countries. At long last the subject has been mentioned in front of prime time TV viewers around the world. I am amazed at the wide-scale ignorance on Jewish refugees from Arab Lands. When Obama gave his famous speech in Cairo in 2009 he made no reference to the 75,000 Jews that were ethnically cleansed from Egypt in the past 63 years. Today only a handful of elderly Jews remain. Or American-Lebanese journalist Helen Thomas believing Jews come from Germany and Poland. In Lebanon there were 10,000 Jews before 1948 and today Beirut has only 40 left. All in their eighties. Why do so few people know these facts? Well now, whilst our Mizrachi/Sephardi witnesses to the expulsions across the Middle East and North Africa are still alive, it has to be instilled into our Jewish narrative and remembered as much as the Exodus from Egypt and the Holocaust. It is our duty to broadcast these facts to a blinkered world. We have to repeat over and over again that Israel absorbed the Jewish refugees whilst Arab countries did not absorb their Muslim brethren. It’s not the first time that as Prime Minister of Israel, Netanyahu mentioned Jewish refugees – he did so in his Bar Ilan speech but this time, the mention of Jewish refugees was explicit and most importantly, Netanyahu said it in front of Obama himself, confronting his ignorance on Jewish refugees from Arab Lands. But why stop there? Bibi should be pressing Obama and EU leaders to put pressure on the neighboring Arab states to give citizenship to the Palestinian refugees huddled in squalid camps on their borders. Without citizenship they are not permitted to work in their host countries and are dependent on donations. They should have dignity with their Muslim brothers and compensation should be used to create wealth and jobs, rather than just handouts. And the Jews who lost their wealth in the Arab countries must be remunerated too. In February 2010, the Knesset passed a law to ensure that Israel would sign no peace treaty which did not take account of Jewish refugee rights - notably compensation. Ever since he became Deputy Foreign Minister in the current cabinet, Danny Ayalon, himself the son of an Algerian refugee, has been spearheading a robust campaign to raise public awareness of Jewish refugees. Netanyahu‘s words also mark a departure from the mealy-mouthed statements of the past. As foreign minister in 2007, Tzipi Livni made a fleeting and confused reference of Jewish refugees at the Annapolis conference by conflating them with Jewish refugees from Europe. She did not stress that those Jews from Arab countries had been resettled by Israel, only that they "longed for Israel." At the time this was at least an improvement on Prime Minister Ehud Olmert. He did not mention Jewish refugees at all, but empathized with 'Palestinian suffering' mumbling that he was sorry for both Jewish and Palestinian refugees. Thankfully, we now seem to have made headway since the euphoric days of the Oslo accords, when Minister of Justice Yossi Beilin closed down a department headed by the late Professor Yaakov Meron dealing with Jewish refugees' property rights. On the 23rd of May, Jimena organized a press briefing on Jewish refugees. Gina Waldman introduced a short 18 min video of the film 'The Forgotten Refugees' after which she described her own personal story of growing up in Libya and in 1967 after the Six Day War being forced to leave the country, barely escaping attempts to kill her and her family on their way to the airport. U.N. Security Council Resolution 242 of Nov. 22, 1967, concluded the war of that year and has been widely acknowledged by all parties to be the basis for a peace agreement. Its key phrases are, “Emphasizing the inadmissibility of the acquisition of territory by war,” and “Withdrawal of Israeli armed forces from territories occupied in the recent conflict.” These included the West Bank, Gaza and East Jerusalem, plus lands belonging to Lebanon, Egypt and Syria. . . . The key sentence in the prime minister's speech before Congress made it clear that the main reason for the failure of all attempts to secure Israel-Palestinian peace is the Palestinian refusal to recognize Israel as a Jewish State; that is, to recognize the Jewish people's right to maintain a Jewish nation-state, the State of Israel, on the land of its forefathers. The Palestinians always stress that they are in favor of the "two-state" solution, rather than a solution based on "two states for two peoples." According to Palestinian leader Abbas, the Jews are not entitled to a state. He rejects a connection between the Jews, as a religion, and the Land of Israel, even though he admits to a Jewish presence in Eretz Yisrael in the distant past, as the Koran often refers to it. Indeed, Abbas defines Jewishness as a religion, rather than a nationality. There are certain written documents of international law. The Geneva Conventions (four treaties and three protocols pertaining to human rights during war) would be a prime example. But technically these apply only to those nations that have ratified the conventions -- that is, that have agreed to abide by their stipulations. Similarly, there is the charter of the UN, the principles of which have theoretically been accepted by all member states. There is also "customary international law": When a practice is so common that there is a broad international consensus that it is obligatory, it becomes a rule of customary law considered binding upon all nations. Sometimes, even though a treaty (such as a Geneva Convention) is binding only on signatories, the principles stated within that treaty have been so widely accepted internationally that they can be said to be "customary international law." A state applies to the Secretary-General. The Security Council must then make a recommendation on membership and send that recommendation to the General Assembly. But we can assume that the application by a Palestinian state would be vetoed in the Security Council by the US. This is close to a sure thing, because this is the principle on which Obama has advanced his policy and his public position: the state of Palestine must be established via negotiations. What is more, Obama is likely to be influenced by Congressional pressure and electoral considerations. There is considerable talk among the Arabs now about going to the General Assembly for a declaration of statehood, to avoid that Security Council veto, but quite frankly, I don't know what they're thinking. In any event, a declaration of statehood for the Palestinians by the General Assembly would be only a recommendation without weight in international law. This is important to keep in mind. The BBC is so fond of referring to “Arab East Jerusalem” to make the point that this part of the city should be a homogenous demographic that doesn’t include Jews. But what happens when the BBC visits the western part of Jerusalem? 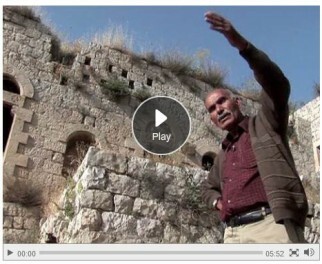 In this video, the BBC reports from Lifta, an Arab village abandoned in 1948. Many Jerusalem residents will be familiar with the area in question as it is located at the western entrance to the city and is visible from some of the main highways in the area. The BBC report refers to Lifta’s “exquisite mosque”, a subtle ploy to imply some deep spiritual and living breathing connection to the village as well as to presumably induce negative feelings towards anyone who might interfere with a house of worship. However, any observer can see that all that is left of this village are tumbling down stone structures that have been left untouched for decades and what may have been a mosque is nothing more than an empty edifice. Lifta is also known as an area whose crumbling structures are used by criminals and drug users seeking somewhere quiet and off the beaten track to engage in unsavory pursuits. It also happens to be within a few minutes walk from Jerusalem’s Central Bus Station, International Convention Center and many Jewish neighborhoods and is clearly within the 1949 Armistice Lines and part of Jerusalem under Israeli sovereignty before the reunification of the city in 1967. Does the BBC reporter not see the gross hypocrisy of promoting the opinions of a former Lifta resident who complains that he is unable to live in his former home while complaining that Jews from around the world could live there instead? After all, the BBC is so quick to parrot the line that the eastern part of Jerusalem belongs to the Arabs. So if the BBC recognizes “Arab East Jerusalem”, why does it not recognize a “Jewish West Jerusalem”? The BBC isn’t prepared to recognize a united, undivided city but it still tries to have its cake and eat it. Nor is this the only international agreement Israel has recently seen torn up. The 1995 Israeli-Palestinian Interim Agreement, as 60 prominent jurists recently noted in a letter to UN Secretary General Ban Ki-moon, states explicitly that “Neither side shall initiate or take any step that will change the status of the West Bank and the Gaza Strip pending the outcome of the permanent status negotiations.” The PA has publicly announced its intention to violate that one by asking the UN General Assembly to recognize those territories as a Palestinian state in September. And then there’s UN Security Council Resolution 242, which explicitly required an Israeli withdrawal only from “territories” captured in 1967, not “the territories” or “all the territories.” As Lord Caradon, the British UN ambassador who drafted it, explained, “It would have been wrong to demand that Israel return to its positions of June 4, 1967, because those positions were undesirable and artificial.” America’s UN ambassador at the time, Arthur Goldberg, similarly said the two omitted words “were not accidental . . . the resolution speaks of withdrawal from occupied territories without defining the extent of withdrawal.” Yet the entire world has now adopted the 1967 lines as the basis for an Israeli-Palestinian settlement. That same world has offered no protest at the Rafah agreement’s demise. The European Union, for instance, ”welcomed” the crossing’s agreement-breaking reopening. And most of the world also plans to back the PA’s agreement-breaking quest for statehood in September. Which leaves only one question. When the world is so patently unwilling to insist that previous Israeli-Palestinian agreements be honored, why does it still think Israel should entrust its security to yet another one? Who Made the “Hard Choices” on Peace?